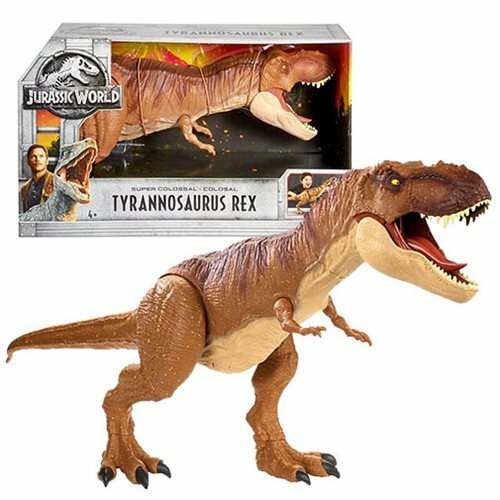 Shopping for Jurassic Park Action Figures? Watch out! It's a T-rex! From the Jurassic World: Fallen Kingdom movie comes this Super Colossal Tyrannosaurus Rex! Watch out! This Super Colossal T-Rex is on a rampage! 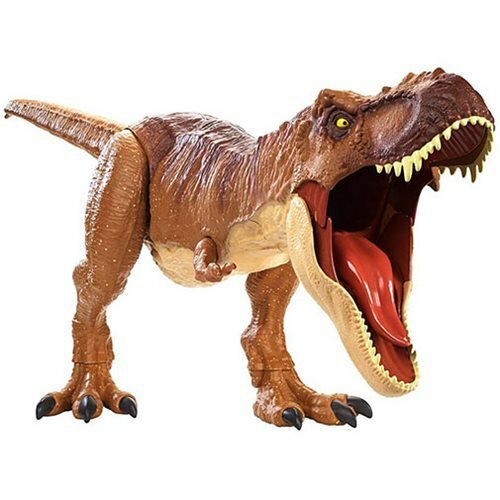 Approximately 3-feet long when fully assembled, this massive menace is based on the iconic T-Rex. The T-Rex features an articulated jaw, arms, and legs. Swoop down and pick up smaller, helpless dinosaurs with its articulated jaw to swallow smaller prey whole! This amazing T-Rex functions as a neat carrying unit as well. 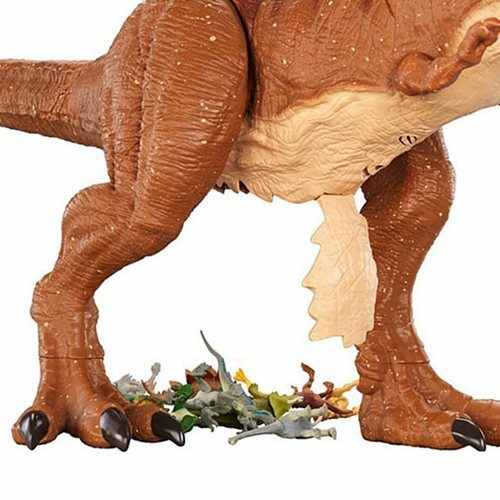 Open T-Rex's belly compartment to remove any eaten figures. Ages 4 and up.